What is the use of UPPER function? 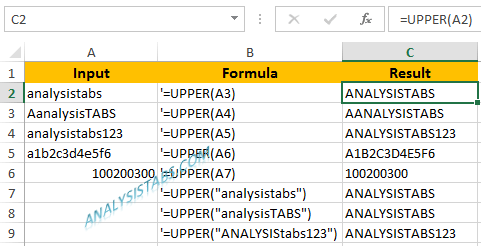 UPPER Function in Excel Converts all lowercase letters in a text string or cell reference to uppercase. Any characters that are not text will not altered. What is the syntax of UPPER function? Where text : The text string you want to change to upper case.